This week we honor Austin Krob of the Lisbon Baseball team as the Sheet Metal Workers Local 263 of Eastern and Central Iowa Athlete of the Week! Krob, a senior, is helping the lead the Lions to a terrific start to the season. 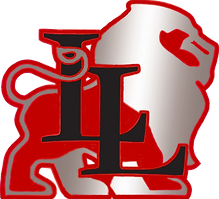 Lisbon is 16-0 on the year and rated #3 in Class 1A. The Lions are coming off a sweep of #2 rated North Linn in which Krob was the winning pitcher in game 1 throwing a 2-hit shutout. Krob is 4-0 on the mound with a 1.09 ERA and is hitting .489 with 8 HR’s and 35 RBI’s for the season. Congratulations to Austin Krob of Lisbon…our Sheet Metal Workers Local 263 of Eastern and Central Iowa Athlete of the Week!